Home About Puget Sound Offices & Services Career & Employment Services Students Explore Careers What Can I Do with a Major in...? Puget Sound graduates are well-positioned to make an impact beyond campus. Through a rigorous liberal arts curriculum, our students develop the ability to evaluate information and construct knowledge, to make connections across disciplines, to build strong writing skills, and to embrace a desire for continued learning. 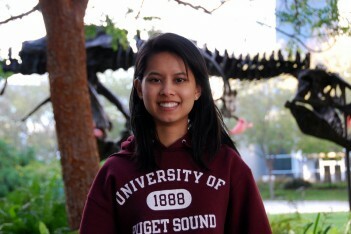 Combining a rigorous liberal arts curriculum with experience gained through co-curricular activities such part-time employment and internships, club and organization involvement, volunteer work, etc., Puget Sound students develop the skills and competencies employers seek, regardless of their major. Visit the Alumni Career Paths page to read extended interviews with alumni working in a variety of fields.